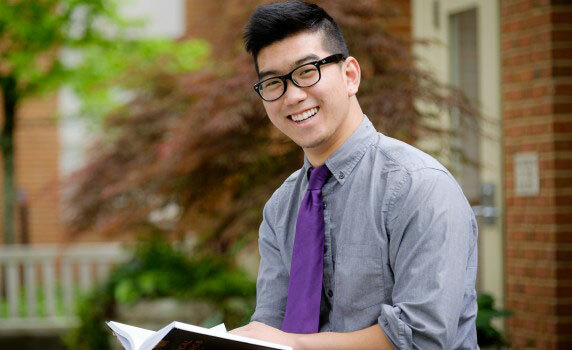 International students apply to Wake Forest using the same application as all other students. International applicants may apply Early Decision or Regular Decision. Early Decision is a binding agreement to enroll if you are admitted. Please be sure to review the Application Checklist to ensure your application is complete before submission. International student applicants are required to submit a $65 application fee. Certified transcripts are required from each secondary school, college or university attended. A record of at least four years of schooling is needed in order to evaluate the application. Detailed information concerning courses taken and grades received must be listed on these records. If necessary, transcripts should be translated into English with the originals sealed and attached. All international students whose first language is not English are required to submit either a TOEFL or an IELTS score. The official score reports should be sent directly to Wake Forest from the testing institutions. Wake Forest does not require applicants to submit an SAT or ACT score in the admissions application. If submitting scores, score reports must be sent directly from the testing organizations. Completion of the Confidential Financial Information for International Applicants Form [PDF] is required. Be sure to attach tax forms, statements from employers, bank statements, or any other documentation you will be sending to verify your family’s assets. Your application will not be evaluated until we receive this official document. Admitted international applicants who pay the admission deposit will be issued an I-20 form. Upon receipt of the I-20, the student may apply for an F-1 visa for study at Wake Forest University. The Center for Global Programs & Studies will assist you throughout the matriculation process. Due to our current total enrollment, we will not be accepting transfer students for the Spring 2019 term. 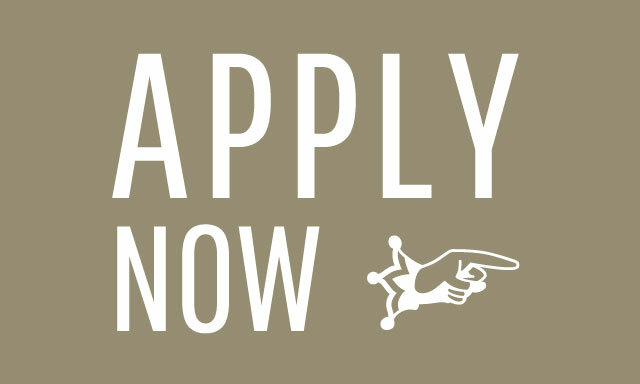 All international students who have received credit from a post-secondary institution and would like to apply to Wake Forest must apply as a transfer student. This includes applicants who wish to enroll with freshman status and/or zero credit transfer. In addition to the items outlined above, transfer applicants must submit the Dean’s Statement for Transfer Students [PDF]. Students applying for transfer are required to have all official transcripts translated into English. There is no guarantee of credit transfer. Unfortunately, Wake Forest cannot offer any financial or scholarship assistance to international transfer applicants. Visit the transfer admissions Web site for more information. Regrettably, Wake Forest University does not offer any need-based financial aid to foreign national students. Unless a foreign-national applicant is offered a merit scholarship (see below), he or she must show sufficient support with the Confidential Financial Information for International Applicants Form [PDF] before the University will consider an applicant for admission. International students are eligible for most merit-based scholarships. The regular application also serves as a scholarship application, so there is no separate form to complete. There are the four major scholarships at Wake Forest, however these are available to the entire applicant pool and are highly selective. All competitive applicants must be not only excellent students and promising scholars, but also creative leaders who are able to influence others in directions likely to benefit society. They will have achieved unusual distinction in the classroom and beyond. Successful applicants have pursued the most challenging curriculum available to them and have achieved grade point averages (often the top 1 percent) and testing scores that place them in the top few percentage points in comparison to their peers. Further, potential candidates have typically been leaders in a variety of extracurricular pursuits and won recognition for their abilities at the regional, state, or national level. All finalists are notified 1 March. Please visit the Wake Forest Merit-Based Scholarship Programs page or email our financial aid office at scholarships@nullwfu.edu for further information and details. Where am I going to live during my first year? Wake Forest has a vibrant, active campus, and most students find that they prefer to live in university’s residence halls, townhouses, or student apartments for their entire tenure at Wake Forest. For the first three years students are required to live in residence halls, which are coeducational by floor. All rooms are equipped with beds, closet, desks, cable television connection, computer outlets, a microwave and a small refrigerator. Laundry facilities are available at no additional charge in or near all residence halls. Wake Forest guarantees housing for eight semesters at the University for all undergraduates who are admitted as resident students. During the first year, roommates are assigned by the Office of Residence Life and Housing based upon a questionnaire submitted by each student which evaluates a number of factors, including compatibility and common interests. After the first year, students may select with whom they live and where through the Residence Life and Housing room selection process. Are there any special activities for international students? Our Center for Global Programs & Studies (GPS) offers a variety of activities, programs and resources to support the international students on campus, especially those sponsored by Wake Forest on an F or J visa. The calendar of events for international students may include bi-monthly social gatherings, day excursions, a fall break and/or spring break trip, and a variety of informational sessions addressing topics such as Greek life, North Carolina law and preparing for internships. There are a variety of campus organizations that cater specifically to international student interests including The Globe and Chinese Student & Scholar Association (CSSA) to name a few. International students also have the opportunity to participate in the Friendship Family program. Local families are matched with students to offer a perspective on U.S. culture outside the walls of Wake Forest. Families may include students in routine dinners or activities as well as special events such as attending a festival, taking a day trip or participating in holiday traditions. GPS keeps students informed about important information and social/cultural events through a bi-monthly e-newsletter. Additionally, dedicated international student advisors are readily available to talk with students regarding any questions or concerns. 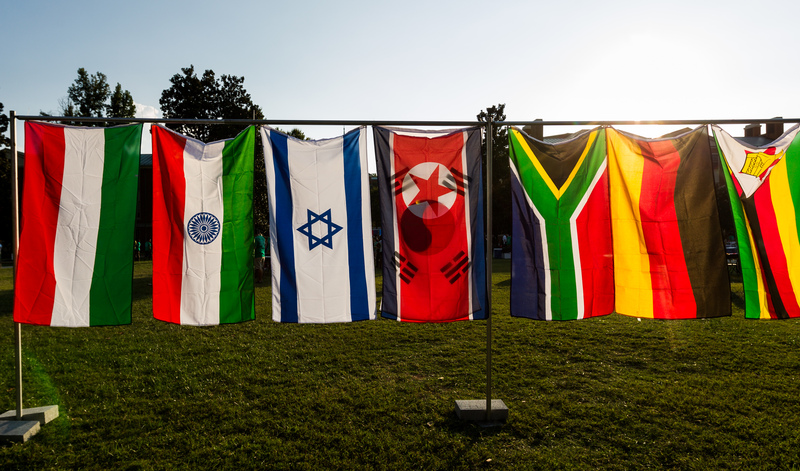 The international community at Wake Forest is relatively small yet helps create a rich global presence on campus. Are there any clubs available for students? Yes! At Wake Forest, the problem is not finding an organization to get involved with; it’s trying to decide which ones to join! There are 265 different organizations on campus, and all of them give students the opportunity to meet other students with common interests. We have cultural organizations, sports clubs, academic and service fraternities, religious societies, political groups, and debate teams. Since all of our organizations are entirely student run, if for some reason you cannot find an organization that appeals to you, the university encourages you to start your own and even offers funding. With Wake Forest’s vibrant and active student body, new and different student groups are forming all the time. The Wake Forest University Police Department is committed to providing a safe and secure educational and working environment for students, faculty, staff and visitors. Wake Forest has its own professionally trained police force that patrols the campus frequently in cars, bicycles, and by foot. In the evening, there is a Shuttle Service provided for all students that can be called to transport students from one campus location to another free of charge until 3:00am. After 10 p.m., security guards are posted at vehicle entrances to restrict access to campus for people not associated with Wake Forest. Emergency phones are located throughout the campus. These call boxes connect directly to the University police with a press of a button. The University Police also offer an extensive series of special services, educational and personal safety programs, such as self-defense classes, an annual crime report, and security panels to help maintain the utmost safety and security on campus. What is North Carolina weather like? North Carolina’s temperature and climate is as diverse as its geography. The lower eastern elevation of the Atlantic coast is generally 11C (20F) warmer than the higher western elevation of the Appalachian Mountains. Wake Forest University is located in the central region of the state, where the climate is temperate and mild. In winter, the temperature is fairly moderate in the central and eastern parts of North Carolina, around 10C (50F) and 4.36 centimeters (1.72 inches) of snow. In spring, the storm systems that bring cold weather southward reach North Carolina less often and less forcefully, and temperatures begin to modify. The rise in average temperatures is greater in May than in any other month, generally warming up to 25C (77F). Spring has the lowest amount of humidity. Summers are warm and humid, around 32C (90F) with periods of heavy rain throughout the summer and early fall. What is the city of Winston-Salem like? Wake Forest’s hometown, Winston-Salem, North Carolina, is a culturally rich mid-size city in the Piedmont Triad area of one of the nation’s most progressive states. With a population of 242,000, Winston-Salem has consistently built resources in the arts, medicine, health care research, education and commerce. With neighboring cities Greensboro and High Point only thirty minutes away, there are extensive opportunities for entertainment and culture in the greater Triad area (population 1.2 million). Located about three miles from the main campus, downtown Winston-Salem is a thriving area that includes galleries and shops; indoor and outdoor performance spaces and museums; a greenway that traverses the Old Salem district; hotels, restaurants and sidewalk cafes. The new Piedmont Triad Research Park is bringing additional resources, residents, and activities to the downtown area, with the Wake Forest Institute for Regenerative Medicine as one of its anchors. The University provides an evening shuttle service to and from downtown on Thursdays, Fridays and Saturdays from August to May. From the campus, access to the ski areas of North Carolina’s Blue Ridge Mountains is a two-hour drive, and travel to the North Carolina and South Carolina beaches takes about four hours. A number of county and state parks are short distances from campus. For a larger city experience, Washington, D.C. and Atlanta, Georgia are about a five-hour drive north and south, respectively. How do I get to Winston-Salem? The Piedmont Triad International airport is located in Greensboro (airport code GSO) and offers direct shuttle services to the Wake Forest Campus. There are also larger international airports in Charlotte (CLT) to the southwest and Raleigh (RDU) to the east that are easily accessible and offer direct flights overseas. Both cities are within an hour and a half drive by car. What do students in Winston-Salem do for fun? Winston-Salem, recently named North Carolina’s “City of the Arts,” is alive with art galleries, music concerts, festivals, and more. Many students enjoy visiting the Reynolda Village adjacent to campus with its shops, restaurants, and gardens. Students have dinner with friends at a sidewalk café downtown and enjoy Friday night gallery hops in the arts district or watch the Winston-Salem Symphony perform. They love to participate in local cultural traditions such as a Moravian Lovefeast, the Dixie Classic Fair and the international River Run Film Festival. Students enjoy the outdoors at Salem Lake and Tanglewood Park, as well as one of our nation’s largest zoos just outside the city. No matter what you are interested in, there is always something to entertain you in Winston-Salem. US or dual citizens living overseas apply to Wake Forest using the same application as all other domestic national students. All applicants may apply Early Decision or Regular Decision. Early Decision is a binding agreement to enroll if you are admitted. Please be sure to review the Application Checklist to ensure your application is complete before submission. "Explore, explore, explore. Both physically and ideologically. Take that Beyonce class, Youth Culture, or Physics of Music Class, even if it isn’t what you want to do in the future. Check out all the different clubs and campus organizations on campus. Try tap dancing, playing golf, juggling, or doing improv comedy. Think of yourself as an empty shopping cart. Feel free to add or remove whatever items you want, but by the end of your journey, you’ll have all the items you’ll need."